The Advertising Standards Authority (ASA) has seen a rise in complaints about the use of “Countdown Clocks”, particularly in relation to promotions. With that in mind, here’s the Committee of Advertising Practice(CAP)run-down on using different types of ‘countdown’ to help you keep your marketing in “Tick Tock” condition. Once a countdown clock reaches zero, it shouldn’t be restarted. This countdown clock was used in conjunction with text that stated “HURRY! ENDS IN…” The ASA considered that the combination of the countdown clock and “HURRY” indicated to consumers that it was a time limited offer. However, once the timer reached zero, it was restarted with the promotional delivery price continuing to be offered. The CAP Code explicitly states that closing dates for promotions should not be changed outside of very specific circumstances and restarting the clock for the same offer would be doing just that. You can’t rewind time and you can’t extend your promotions. 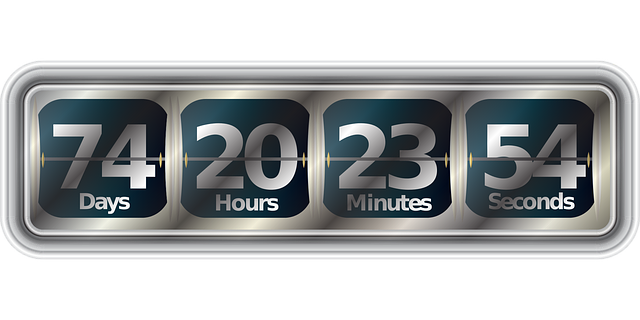 Countdown clocks can be used alongside promotions to give consumers legitimate notice of when a promotion will end. But if your prices remain the same, or are even lower than the promotional period price, straight after the countdown clock is concluded, then the promotion will not be seen as a genuine time limited offer and will mislead consumers. So, make sure your prices revert to their non-promotional price once it ends so as not to disadvantage those consumers who made purchases during the countdown. It isn’t just promotions that have countdown clocks, you may be setting your own countdown with your delivery time claims. If you claim that your product arrives in 1 hour you need to deliver within that timeframe, whilst also holding adequate substantiation that you reach your target on a consistent basis. And obviously, don’t forget to make clear any delivery charges. Last year, CAP published some new guidance on Gambling Advertising – responsibility and problem gambling. Part of this advice focuses on marketers not applying undue pressure on audiences to gamble. So, marketers should be careful when using countdown clocks within gambling marketing and in particular avoid the overall context of the ad creating an unjustifiable sense of urgency. Setting time limits for entrants to respond to a communication stating that they have won a prize? If you do run a promotion with a prize, ensure that the marketing makes it sufficiently clear how and by when a winner needs to respond to claim it. The ASA ruled that allowing participants 24 hours to respond to an email notification should have been made sufficiently prominent within the original promotion, as it would affect a consumer’s understanding of the promotion. Lastly, if you need bespoke advice on your own ‘countdown’ in non-broadcast ads, get in touch with our Copy Advice team. We also provide a Copy Advice service designed to help you create advertising and other marketing communications to ensure compliance and avoid incurring possible infringements and reputational risks.